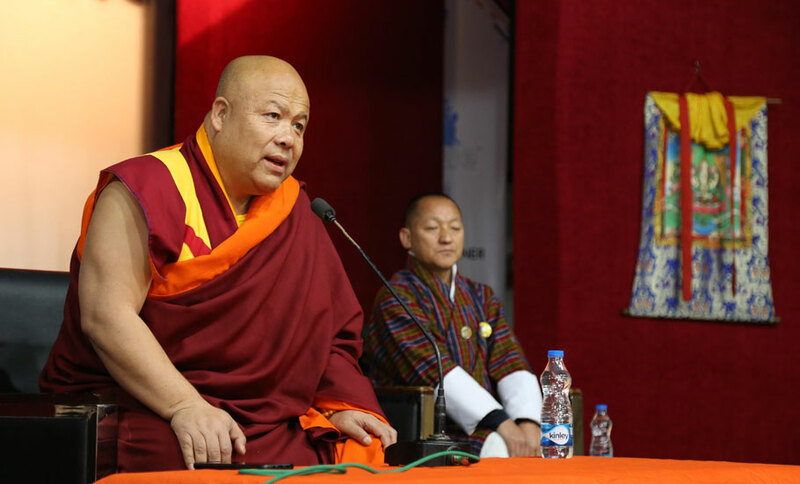 His Eminence Tsugla Lopen of Central Monk Body in Bhutan, Venerable Samten Dorji visited Lovely Professional University today, where he interacted with hundreds of Bhutanese students at Shri Baldev Raj Mittal Auditorium of the University. Entering the central monk body at prime age of 8, the protagonist of Buddhist Philosophy, His Eminence Tsugla Lopen Samten Dorji has held many prestigious positions in Central Monastery of Bhutan. For his humane endeavours and contributions towards Buddhism, he has also been honoured with International Buddhist Peace Award by the US-based International University of Morality (Bangkok).